The Boston Celtics might just have figured out their problem last night. While certainly a relief, it's also a bit of a "duh" moment, because there's very few Celtics writers out there who have not been hinting, suggesting, pleading with the team to consider driving to the basket as a primary means of initiating offense. And Jaylen Brown, finally, decided it was time to follow through. Largely being lauded today for his aggressive play, it actually isn't Jaylen being aggressive that was key to avoiding a repeat of getting down big double digits early, it was how he was being aggressive. Don't believe me? Check Brown's shot selection against the Portland Trailblazers vs. last night - and then check the rate each went in. 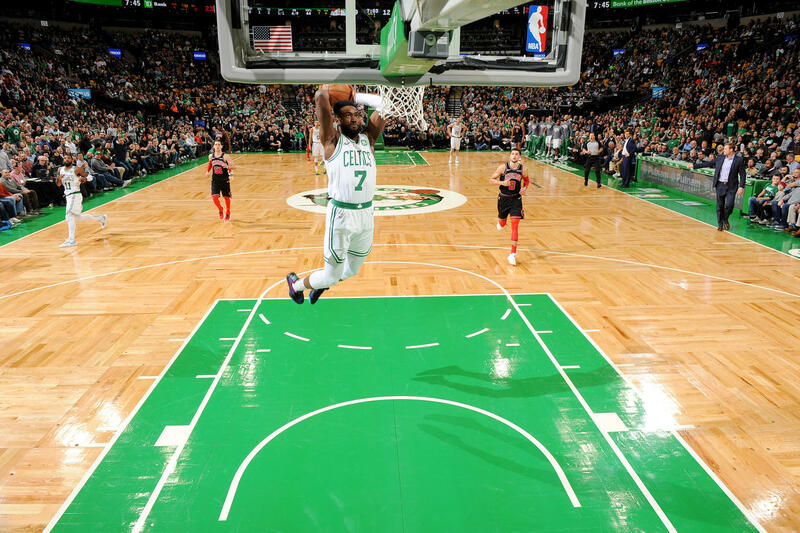 Against Portland, Jaylen shot just two of seven overall, and just one of four from deep; Against the Chicago Bulls, he hit eight of fourteen, including six directly under the basket - and two of four from deep. It's pretty clear that attacking the basket is key not only to Brown's role on the team and perhaps even their overall offensive balance - he matched his season-high assist total with three dishes - but it's got to remain consistent, or Boston will have to find someone else willing to attack the cup and kick it out when someone spots up with an open look. "I think the biggest thing is, for our whole team, Jaylen can get to the rim at any time ... and I think the biggest thing is just continuing to not only finish with strength but also just continuing to make the right reads. And I think he’s improved in that." There's a pair of tough games facing the Celts on Friday and Saturday, rematch games against the Toronto Raptors and Utah Jazz; with both teams looking mortal, Boston has a chance to win one if not both of them, and retake the momentum they hoped to have this season.